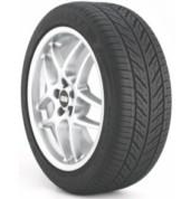 The Bridgestone Potenza RE960AS Pole Position tire is Bridgestones ultra high performance all season radial that offers race car like handling with all season traction. UNI-T AQII technology and a Silica compound in the tread combine to give this tire excellent wet and dry performance. One of the best benefits that drivers often mention, other than the high performance driving characteristics, is how well the tire handles on wet roads. A unique dual layer tread to go with aqua tread grooves work together to channel water out from under the tire, giving you added confidence when the weather turns to rain, slush or light snow. The Potenza Pole Position ranges in price from around $75 for the 14″ series, up to around $330 for a massive 285/30R20. Who Is This Bridgestone Tire Designed For? The AS Pole Position tire from Bridgestone is designed for drivers of sports cars and sedans who are looking for a serious ultra high performance all-season tire. The Bridgestone Potenza AS Pole Position comes with a 5-year / 40,000 mile treadwear warranty, as well as a first 1/32″ wear uniformity warranty. In addition, Bridgestone tires has a 5-year materials and workmanship guarantee and a 30 day buy and try it offer.